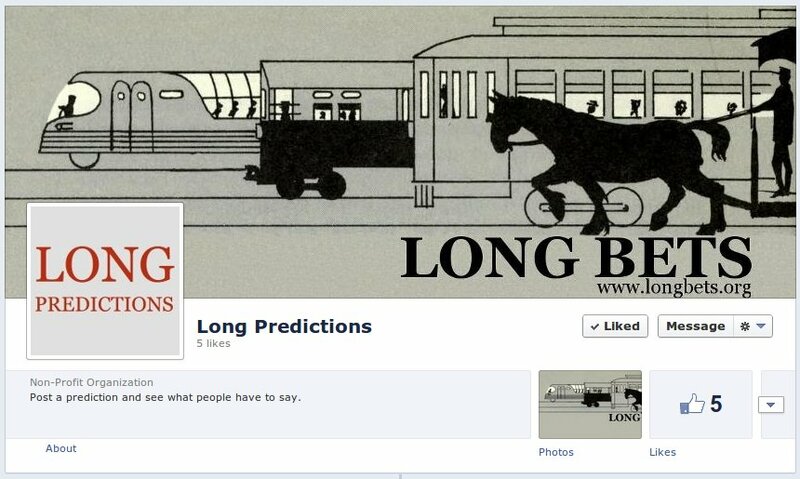 We’re going to try something new for a little while – we’ve created a Facebook Page called Long Predictions where we’ll post predictions from the Long Bets site, on the web or in the media. We’re interested in fostering thoughtful, respectful discussion about the future and our culture’s hopes, fears and assumptions about it. We encourage you to share predictions you discover or overhear and to discuss those posted by others. You’re also welcome to venture your own prognostications and to consider taking them over to Long Bets to formally put them on record.